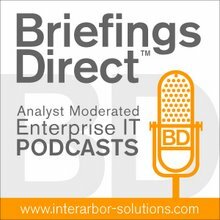 This BriefingsDirect podcast discussion centers on how worldwide enterprise applications leader SAP has designed and implemented a private cloud infrastructure model that supports an internal consulting and training program. By standardizing on a VMware cloud platform, SAP has been able to slash provisioning times for multiple instances of its flagship application suite in the training setting, as well as set the stage for wider adoption of cloud models. Gardner: What is it about private cloud that made the most sense for SAP? Krips: Expanding a bit on the use case, there is a specific challenge here. In the training business, people book their courses, and we know only on Friday evening who is attending the course on Monday. So we have only a very short amount of time over the weekend to set up the systems. That was one of the big challenges that we had to solve. The second challenge is that, at the same time, these systems become more and more mission critical. Customers are saying, "If the system isn't available during the course, I'm not willing to pay." Maybe the customer will rebook the course. Sometimes he doesn’t. That means that if the systems aren't available, we have an immediate revenue impact. You can imagine that if we have to set up a couple of hundred, or potentially a couple of thousand, systems over the weekend, we need a high degree of automation to do that. In the past, we had homegrown scripts, and there was a lot of copying and stuff like that going on. We were looking into other technologies and opportunities to make life easier for us. A couple of challenges were that the scripts and the automation that we had before were dependent on the specific hardware that we used, and we can't use the same hardware for each of the courses. We have different hardware platforms and we had to adopt all the scripts to various hardware platforms. When we virtualized and used virtualization technology, we could make use of linked cloning technology, which allowed us to set up the systems much faster than the original copying that we did. The second thing was that by introducing the virtualization layer, we became almost hardware independent, and that cut the effort in constructing or doing the specific automation significantly. Gardner: What did you need to put in place, and how difficult was it? Krips: Luckily, we already had some experience. The big thing in setting up the cloud is not getting, say, vSphere in place and the basic virtualization technology. It's the administration and making it available in self-service or the automation of the provisioning. That is the important piece, as most would have guessed. We had some experience with the Lifecycle Manager and the Lab Manager before. So we said at that time because we did this last year, we set up a Lab Manager installation and worked with that to realize this kind of private cloud. In this specific cloud, typically we have between a couple of hundred and a couple of thousand VMs running. Overall, at SAP we're running more than 20,000 virtual machines (VMs). And, in fact, I have about 25 private cloud installations. This cloud also gave us some hints on where we have to redesign the workloads so that they become more cloud usable. ... As I mentioned, this cloud has to work. If this goes down, it’s not like some kind of irrelevant test system is down -- or test system pool -- and we can take up another one. Potentially a lot of training courses are not happening. With respect to mission criticality, this cloud was essential. Gardner: We often hear similar requirements being applied to a test and development environment. Are some of your clouds involved with the test and development as well? Krips: As I mentioned before, we have 25 private-cloud installations, and in fact, most of them are with development. We also have cloud installations in the demo area. So if sales people are providing demos, there are certain landscapes or resource pools where we are instantiating demo systems. SAP wants to shorten the innovation cycles. Internally, we've moved internally to a development model, where every six weeks development provides potentially a shippable release. It doesn’t mean that the release gets shipped, but we’re running through the whole process of developing something, testing it, and validating it. There is a demonstrable release available every six weeks. Moving to the private cloud and doing this in self-service, today we can provision development systems within hours. In the past, with a traditional model, if we were provisioning physical hardware, it took us about 30 days or so to provision a development system. Now, if you think about a development cycle of six weeks and you’re taking about nearly the same amount of time for provisioning the development system, you’ll see that there is a bit of a mismatch. Gardner: That’s what I hear from a number of organizations, and it's very impressive. When you had a choice of different suppliers, vendors, and professional services organizations, was there everything that led you specifically to VMware, and how has that worked out? Krips: I can give you a fairly straightforward answer. At the time we started working with private cloud and private-cloud installations, VMware was the most advanced provider of that technology, and I'd argue that it is still today. Gardner: How about security and management benefits? Krips: From our perspective, we wanted to have the advantages of cloud with respect to flexibility, provisioning speed, but we didn’t want to have more security headaches than we already had. That’s why we said, "Let's get our arms first around a private cloud." Gardner: Is there something about a standardized approach to your cloud stack that makes that hybrid potential, when you’re ready to do it, when it's the right payload, something that you'll be pursuing? Krips: That’s one of our biggest problems that we're having. Clearly, if one had a standard cloud interface like a vCloud interface, and it was the industry norm, that would be extremely helpful. The issue is that, as you can imagine, there are a couple of workloads that we also want to test in some other well known clouds. I'm having a bit of a headache over how to connect to multiple clouds. For us, it's very important that we separate the user data and the desktop from the device. ... Now, if a couple of interesting providers had a standardized cloud interface, it would be very nice for me. Gardner: Any thoughts about what your experience and benefits with cloud might mean for your future vision around client devices and mobility? Krips: Dana, the thing is pretty clear. If you look at the strategy that SAP pursues, mobility is an integral part. We also think that not only that business process mobility is more important, but what we’re also seeing, and I mentioned that before, with the agility and development. So for instance, there are people who are working every couple of months in new teams. For us, it's very important that we separate the user data and the desktop from the device. We’re definitely pushing very strongly into the topic of desktop virtualization (VDI). The big challenge that we’re currently having is that when you’re moving to VDI, you take everything that’s on the user's desktop today, then you make out of that more or less a software-as-a-service (SaaS) application. As you can imagine, if you’re doing that to development, and they are doing some complex development for the user interfaces or stuff like that, this puts certain challenges on the latency that you can have to the data center or the processing power that you need to have in the back-end. From our side, we’re interested in technologies similar to that view, and where you can check out machines and still run on a VDI client, but leverage the administrative and provisioning advantages that you have through the cloud provisioning for virtual desktops. So it's a pretty interesting challenge. We understand what kind of benefits we’re getting from the cloud operations, as I said, the center provisioning, application patching, improved license management, there are a lot of things that are very, very important to us and that we want to leverage. Particularly for us, the VDI, the benefits, are very much in the kind of centralized provisioning. Just to give you an example, imagine how easy it would be if you’re doing desktop virtualization, to move from Windows 7 to Windows 8. You could basically flip a switch. On the other hand, we have to solve the issue that we’re not blowing the business case, because the processing power and the storage that you have at the end point is relatively cheap. That’s why we were so interested in VDI technologies. That would allow us also to take care of all of our mobile users. But we’re confident that we can get the business case to work.